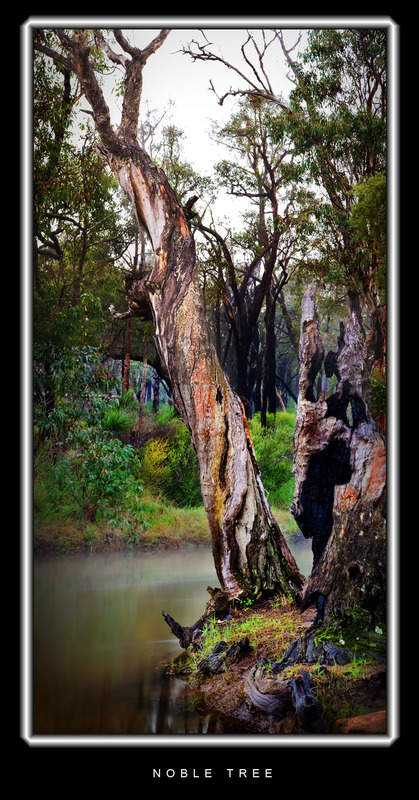 Tried my first vertical pano on this old tree that i saw while up at Noble falls the other weekend.Been shooting a lot of trees at the moment as with all the rain and the moss at present they look cool.This was shot after getting that spike in my ankle cause there was no way i was recking the shoot,ED just had to wait!! ~ by Mel on August 1, 2008. Great colours and the tree has so much character! nice work mel , vertical pans arnt any harder then horizontal i think just have to check the exposure when included the sky and have a grad nd filter handy . thanks guys, yeah tree sure does have a special character. Yeah it is a bit blown out i even used a grad ND but with the fog so heavy i don’t know how else to fix it.What can you suggest? Maybe a gradient. Which could be tricky…. First off though I would try a multiply layer or two over the blown area.